You’re yawning, falling asleep and you convince yourself that this extra coffee is only needed today because you’re unusually tired. Before you know it, that third cup becomes a part of your regular routine and it’s no longer doing the trick of keeping your energy levels up. Then, you find yourself wondering if everyone feels this way. Most of us tell ourselves that we’re tired because we’re overworked, have too much on our plates and it will pass, but according to experts, the culprit for our lack of energy lies in two habits we’re guilty of doing every day. According to the National Sleep Foundation, adults should get around seven to nine hours of sleep each night, but Danielle Hamo, a licensed and registered dietitian nutritionist from Miami, Florida, says most adults don’t get anywhere near that amount. 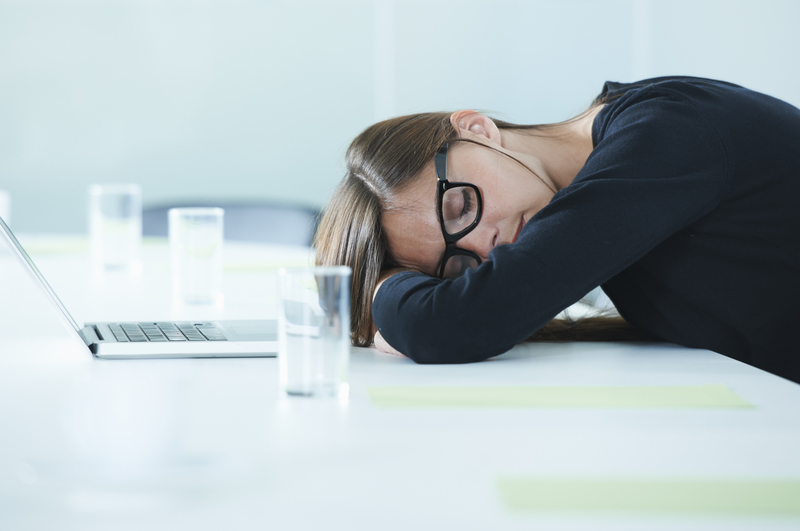 After a time, lack of sleep can be a contributing cause for health issues, affecting more than just your ability to get through the workday. According to a report from Harvard University, consistent lack of sleep can lead to heart disease, obesity, diabetes and could lower your life expectancy by 15 percent. How do you get more restful sleep? Hamo says, “To get more sleep you have to not look at your phone or any lit screen like an iPad or TV in the hour prior to bed,” says Hamo. “The light coming from these devices can interrupt your sleep cycle and hinder you from getting the amount of sleep you need,” she continues. We know that eating breakfast is good for you, but many of us still skip this important meal every day. The latest statistics show that 31 million U.S. consumers skip breakfast and Lauren Harris-Pincus, a registered dietitian nutritionist from New York, says it’s one of the leading causes for our low energy. “I find that an overwhelming number of people either skip breakfast or consume foods that cause energy levels to spike and crash,” said Harris-Pincus. “Our bodies are like cars, we need food like they need gas. What would happen if you tried to drive your car with an empty tank? Yet we expect our bodies to run efficiently on no food or choices that do not provide the proper nutrients we need,” she continued. Skipping breakfast won’t just have you reaching for more caffeine through the day, it can have potentially dangerous health consequences. A 2013 study from Harvard School of Public Health revealed that those who regularly skipped breakfast had a 27 percent higher risk of heart attack or death from heart disease than those who did eat in the morning. How do you make time for breakfast? Harris-Pincus says that the most common excuses she hears from patients when asked why they skip breakfast is not having enough time. She adds that finding that time is all about planning and preparation. “With a little planning, your morning routine can run smoothly and you will benefit from a nutritious breakfast,” said Harris-Pincus. “There are so many foods to make in the evening that will be ready to grab and go in the morning,” she continued. She shared that overnight oats, like her maple pumpkin banana oats recipe, is her favorite thing to eat in the morning because you can prepare it the night before and it will be ready for you. Harris-Pincus adds that planning your meals and snacks to make sure you’re eating every three to five hours can keep your energy up. If you find yourself relying on more and more coffee to get you through the day, make these two changes and you’ll find you will be happier, healthier and have the energy level that can rival the younger you.